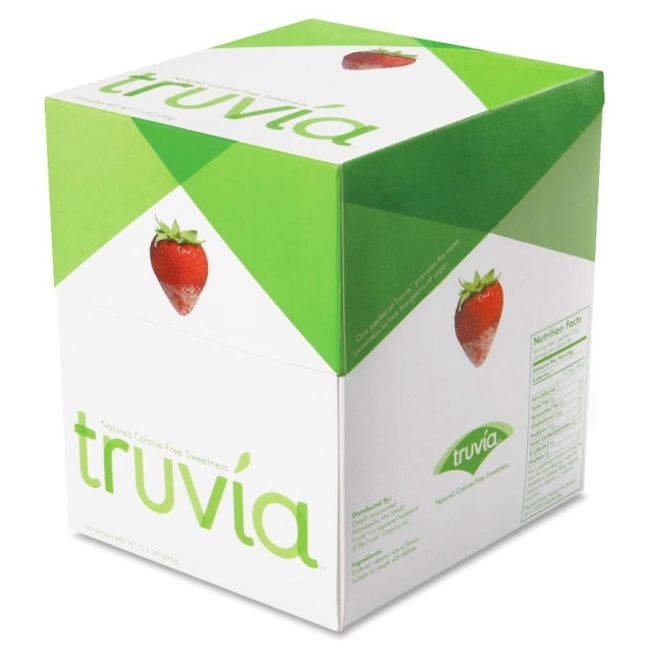 One packet of Kosher-certified Truvia provides the same sweetness as two teaspoons of sugar. A great alternative for people with diabetes. Great-tasting, zero-calorie sweetener is born from the leaves of the stevia plant. The leaves are steeped to get Truvia stevia leaf extract, the best-tasting part of the stevia plant, for a delicious sweetness. Truvia Natural Sweetener comes in individual packets. The self-dispensing opening on the box is perfect for self-service locations.